The weather in the northeastern US is just starting to cool off again, with temperatures dipping down to the 50s and 60s Fahrenheit. With cool weather, fall in New York City brings the annual Maker Faire at the Hall of Science in Queens. I'm happy to announce that I will be showing off some of Cemetech's coolest hardware and software hacks at Maker Faire 2012! At my table, entitled "Hacking Graphing Calculators: The Stealth Pocket Computer", I will be demonstrating CALCnet 2.2, the Gossamer web browser, playing music with a calculator and floppy drive, the Doors CS 7 shell, Graph3DP 1.0, and much more. It's going to be a hacking experience in and of itself to design a system to power (and secure!) the hardware that I'll be bringing, so I'll post details on my solutions as the date nears. I'll also be talking about the entertainment and educational value of learning calculator programming, and will be discussing my just-released book (official announcement coming soon), although sadly due to commercial restrictions I won't be able to market or sell the book at Maker Faire. Maker Faire 2012 will be held on Saturday and Sunday, September 29th and 30th, at the New York Hall of Science in Queens, NY. Look for me outside at the big tent with tables of engineering and electronics hacks, and be sure to introduce yourself as a Cemetechian. 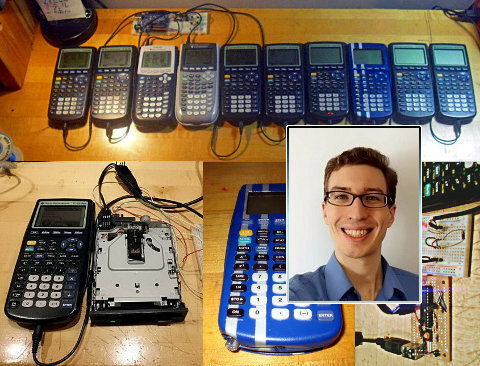 Also, if you are in or near New York, have at least four hours to spare, and want to sit and help me promote calculator hacking and as a fun and rewarding hobby, I can get you a free pass to visit the fair. Send me a PM or post if you're interested. The Faire will also have tons of other projects and hacks large and small, attractions, workshops, and presentations. You can read about Maker Faire 2012 at their official website. I hope to see you there! "Engineering For Change" article mentioning "Hacking Graphing Calculators"
Man, I wish I could go, but I'm stuck in South Carolina, and I don't think my parents will want to take me. Thinking of cross posting to the super active brony forums I frequent; some of them might enjoy seeing your awesome projects. Won't be able to make it there myself, but good luck and I'm sure you'll stand out from the crowd! No arguments here. Thanks, I need to design myself some nice decor for my table that will help! Yup, gotta give weight to the latest and greatest contender! Spence: Thanks for the remote good wishes, at least. Thanks anyway. I'm sure I'll find some persons|people. Dang, that's awesome! 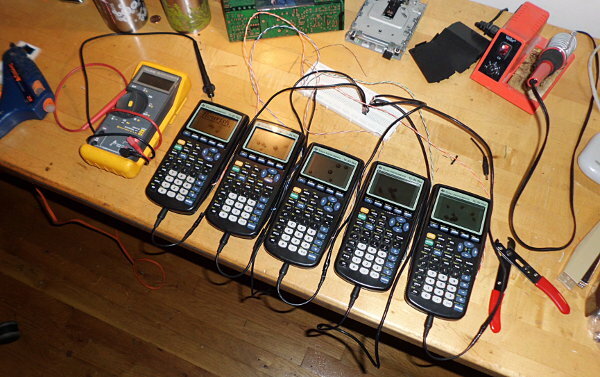 It's very rare (if hardly ever) you see anything in the real world about hacking calculators. Looks like a good time-Make sure you leave your booth and wander around some so see what else is there. I definitely will, but I need to make sure I have someone else to watch my booth while I wander. I went two years ago and had a great time, so I look forward to seeing that's the same and what's different since then. Darn; I'm actually aiming to be out in the state of New York around Jan. 8th or Feb. 18th for a Buffalo Sabres hockey game with some friends. Can you wear Scouter and live stream the whole Faire? Oh, I didn't even think of that. That would be amazing! I do hope I get the a-okay, it seems like it will be quite the exciting and educational experience for me! Awesome, I hope you do! If it looks like you're going to get the green light, tell me what times you can definitely be there to help me out, and don't forget to leave yourself plenty of time to browse around the rest of the fair. I will email you your ticket when you're sure. *bump* Preparations for Maker Faire continues. I have gotten FloppyTunes set up and working again, though I am working on sequencing a new song to demonstrate. If I manage to finish it, all the better; if not, no big deal. I'm trying to use lower octaves to make it slightly quieter; I need to ride the line between people being able to hear it, and not bothering my neighbors with the constant droning of the floppy drive. I also checked out the blue Ultimate Calculator 2, and I see it has succumbed to ribbon cable failure. I will be spending a day spiffing it up, fixing some poorly-placed components, and repairing the ribbon cable. Oh, and I purchased some thick cardstock so I can give people something to bring with them. I was original thinking of something business card-sized, but now I'm considering a bookmark shape. What do you guys think? I also fixed two calculators this evening. One of my TI-84+SE calculators would not turn on via the ON key; instead, I had to plug in a link cable. I traced and found the failed PCB trace, and replaced it with a 30 AWG wire threaded from near the ASIC to one of the ON-key pads. Problem solved! The LCD ribbon cable in the Ultimate Calculator 2 had also failed. I repaired it with four replacement wires, while the rest continue to work fine. Two successes. Tomorrow I'll grab some foam-core and start putting together the structure of my exhibit. I'll need to make a big poster or something, probably. change the proportions slightly and print it double sided? Two problems: expense (don't want to waste infinite toner, as I am printing about a thousand of these bookmarks, most likely) and alignment (inkjet and laser printers are notoriously bad about getting the things on two sides of a piece of paper lined up). Are you proposing making it closer to square or further from square, ie, wider or narrower? I wouldn't object to wider, which would make me get 6 per sheet instead of 7 per sheet of letter paper, although I already expanded my 1.2"-wide first prototype to a 1.5"-wide second prototype. I was thinking slightly longer and narrower, which could save paper by cramming more onto the same page, and if done correctly (an area preserving adjustment) would allow for the same amount of toner to be used total. The alignment issue isn't one I had considered though. There are 243 users online: 9 members and 234 guests. Members: bobtheferret, GregsAStar, john35588, Luxen, NoahK, Pieman7373, Sam, SomeCoolGuy, Trent_K. © Copyright 2000-2019 Cemetech & Christopher Mitchell :: Page Execution Time: 0.172729 seconds.